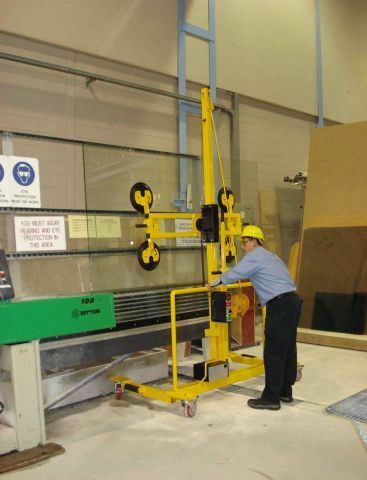 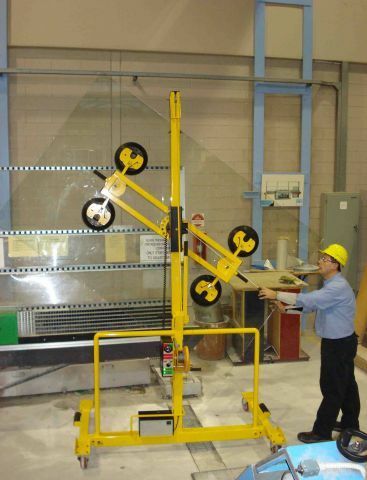 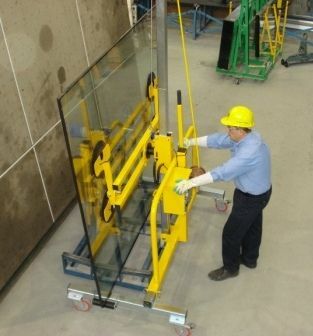 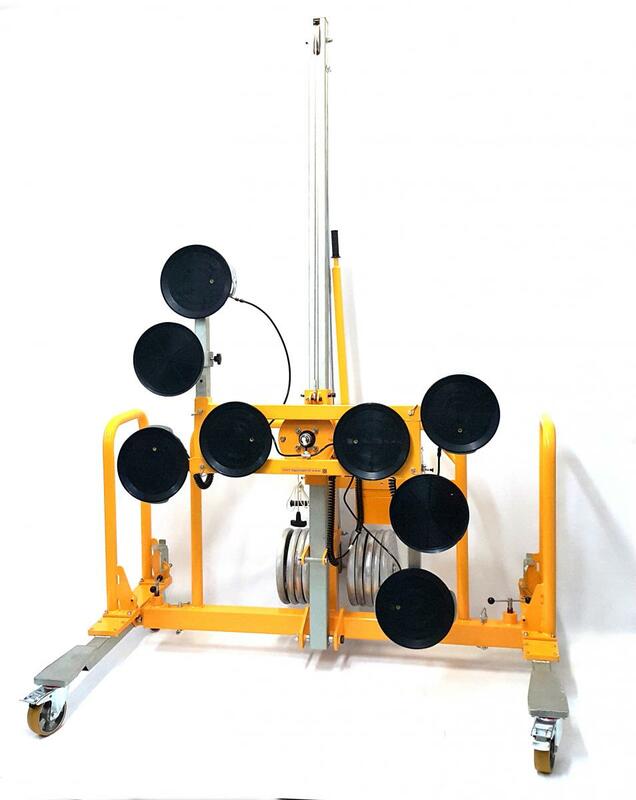 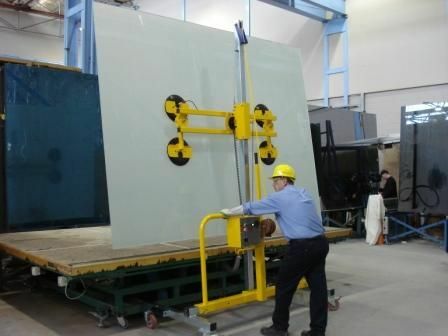 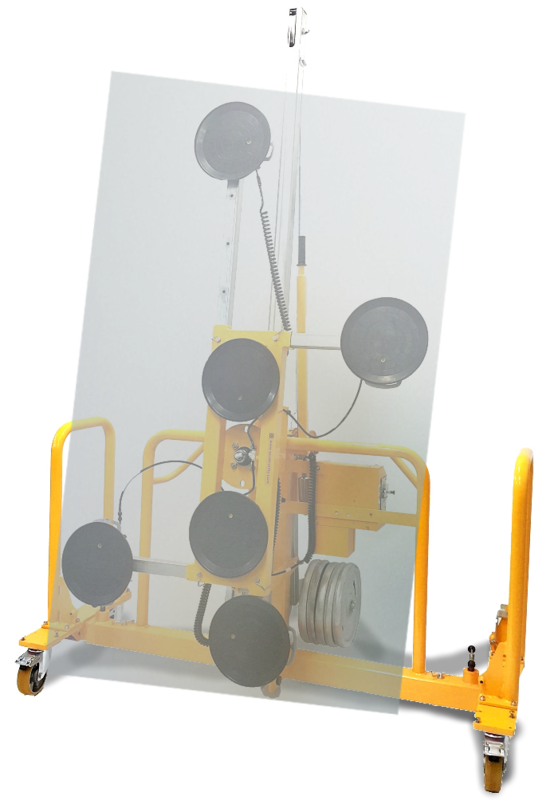 The Mule 300 device is used for unloading, rotating, and transporting large glass plates. 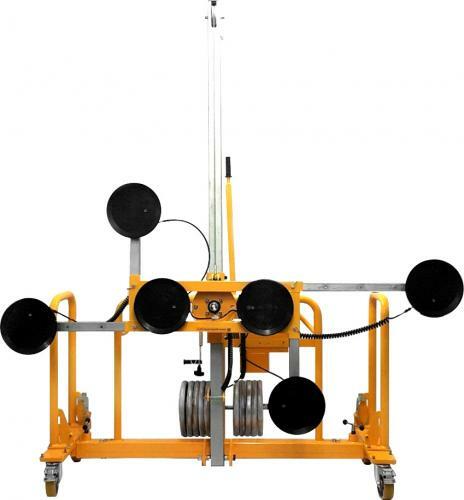 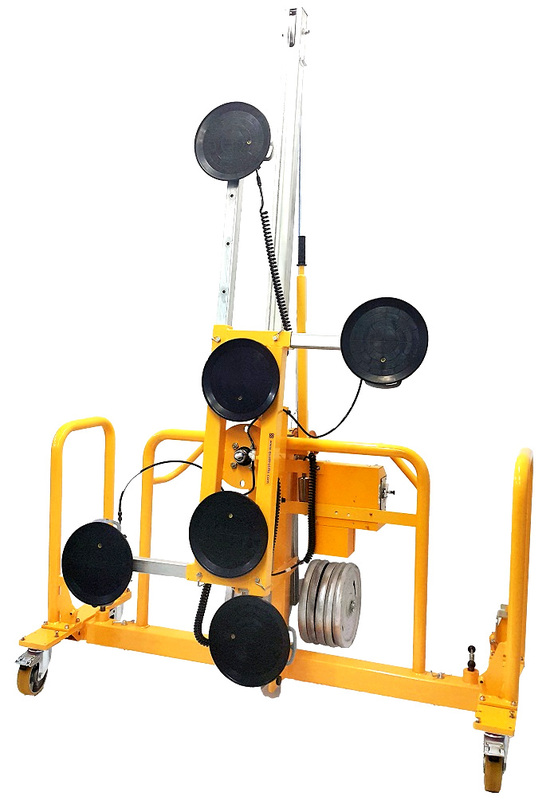 It has a lifting capacity of 300 kg and can be operated by a single person. 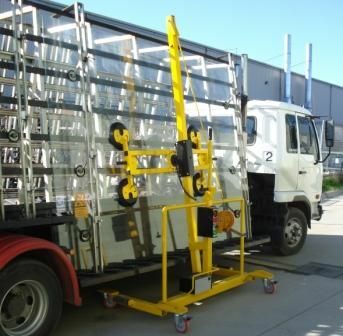 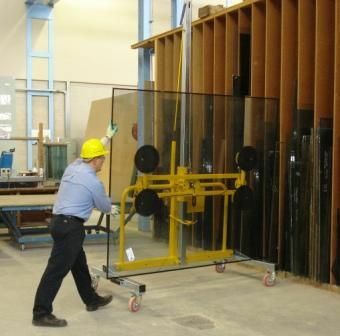 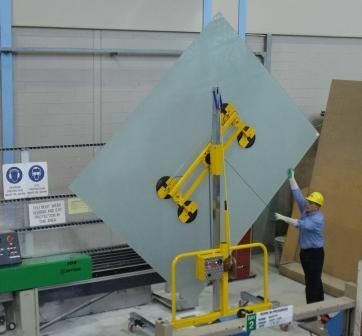 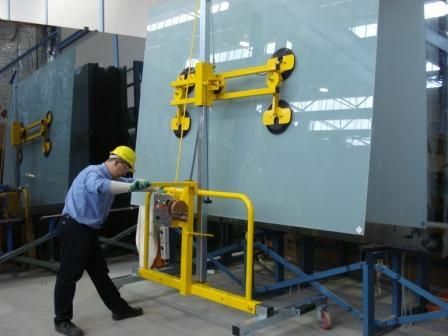 Its construction allows you to transport and rotate glass plates 4400 mm long. 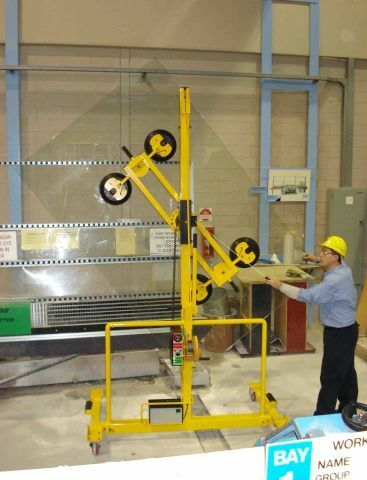 Adjustable, rotating arms with vacuum cups mounted on them allow you to safely rotate a glass plate even by 360°. 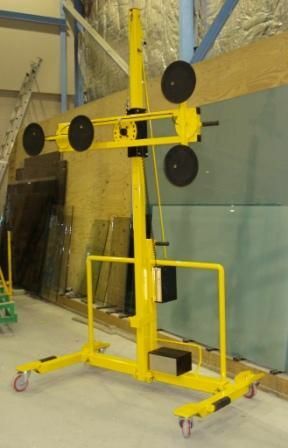 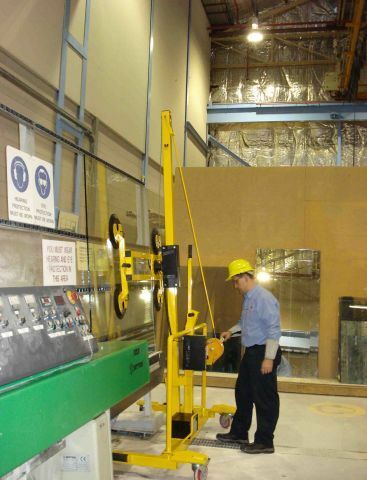 The glass carrier Mule 300 is a perfect solution for companies that do not have an overhead crane or other cranes. 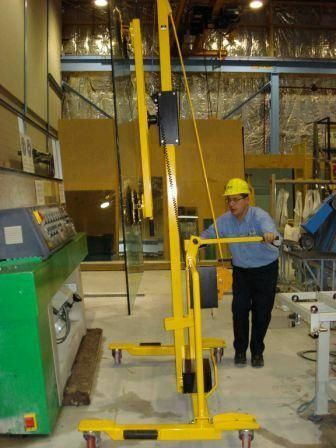 When it is impossible to use a crane on a construction site, you can easily use the Mule.